Hello everyone, we have some updates regarding bonuses and promotions at Video Slots Casino. Please read on to see how this is different from the current bonuses. Also, you will learn the important terms and conditions of play. Alternatively, if you are not a current member, you can read our Video Slots Casino review for a detailed guide of this casino to see if it suits your preferences. First of all, we have the new welcome spins wager free on first deposit bonus. Basically, you will receive 11 welcome spins in a random game upon first deposit. You have 7 days to activate the bonus. Once you activate the bonus, the free spins must be used within 24 hours. Most importantly, you must be 18 or over to play and 21 in countries where that is the minimum age by law. Above all, play responsibly. First and foremost, we will match your first deposit of anything between £10 up to £200. You are required to wager the bonus amount 20 times before you can withdraw the bonus funds. Players can forfeit the bonus and take the winnings and paid out bonus funds. Only the remaining balance of the bonus which has not yet been released will be forfeited. The bonus will be paid out in 10% increments to your cash account. In addition, jackpot games do not contribute to the conversion. 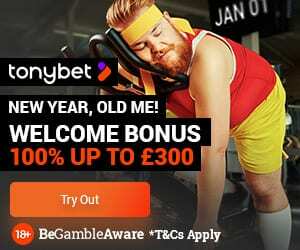 The maximum bet per spin is either 50% of your deposit up to £20. Most importantly, you must be 18 or over to play and 21 in countries where that is the minimum age by law. And as always, play responsibly. 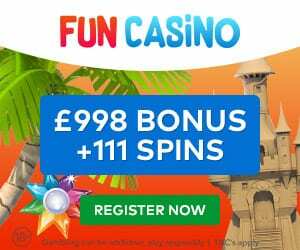 Finally, on this exclusive promotion, you will receive £10 bonus cash from us when you make your first minimum deposit of £10. Players are required to wager the bonus amount 25 times before you can withdraw the bonus funds. Above all, you must be 18 or over to play and 21 in countries where that is the minimum age by law.